Beneath the filter bar, click the Print button to download an image file of all components on your report view. You may wish to perform your own offline analysis of a report's data. To do this you can click on the reports download button and follow the instruction to download a file version. 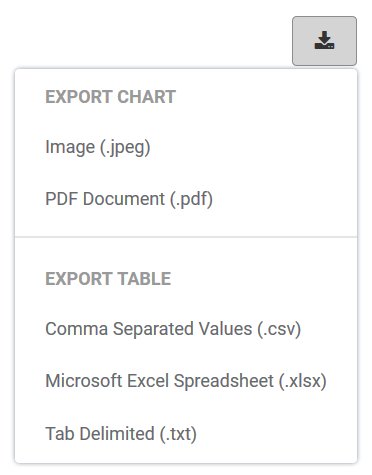 You can download the chart as a jpeg or pdf file and/or download the chart data under ‘export table’.